First full day in Nairobi and still jet lagged. They have not had rain in here for over a year and last week they got a welcomed downpour. The city has come alive with hues of green and orange clay. There is a pleasant musty smell in the air. Ravi, my brother in-law arranged for Anita and me to take a “Jim cab” to the conference (ICUH). It is a more secure company than some of the other taxi companies and security is an issue here. I wanted to take some photos out the car’s window but was advised that this would be unwise; there is chance the camera could be grabbed from the open window. Anyways, I captured some images from inside the car. The roads are clogged with cars. There are a handful of pedestrians on the roadside, but most are waiting for Matatus. Matatus are commuter vans that hold around 8 passengers, although some seemed packed beyond capacity. The name Matatus is from back in the day when it cost only 3 schillings for a ride. The drivers of Matatus are notorious with the other divers for their risky driving practices. story about matatus and pop culture. 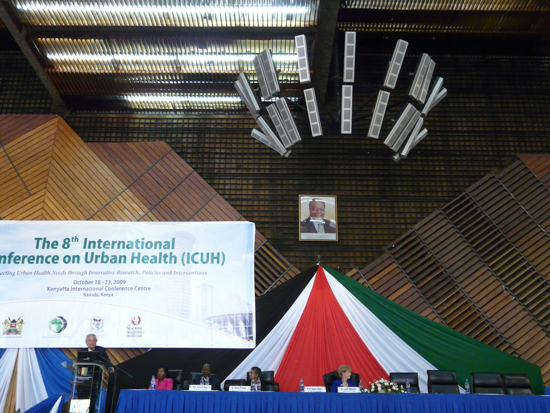 Heading towards Nairobi for the International Conference Urban Health (ICUH). The conference started yesterday with a key note address from , former mayor of Bogotá, Columbia, Enrique Peñalosa. The main point being by spending on roads for cars which only serve the very rich of most developing countries is direction in spending priorities and allocation of national resources. Mr. Peñalosa was mayor for only three years and the was a huge change in the transportation infrastructure and a significant change in the crime rate. Rats, sounds like it was a real inspiring talk. I heard Gill Peñalosa, Enrique’s brother and also Commissioner of Transportatin when he was Mayor, give a talk at Vancouver City Hall before the report on lane allocation on Burrard Bridge which was stunning in its impact. All the bike advocates on our side of the gallery were falling out of seats with amazement. We are hanging out in Schipol at the moment waiting to board our flight. No free wifi here so I will have to wait till we arrive in Nairobi to post the story. It is a ten hour flight and even after two days in Amsterdam I still on Vancouver time. Everyone is taking a nap after a brutal night. Here all the images from first day. 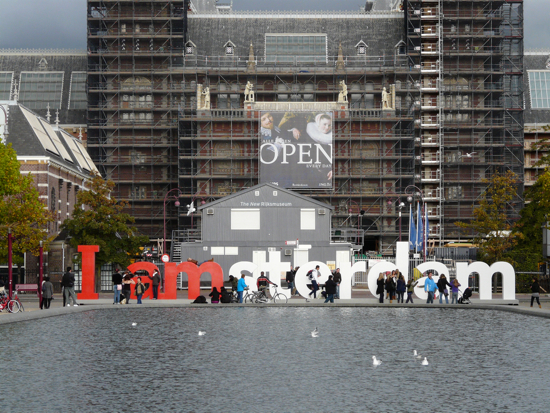 Arrived safely in Amsterdam, but seriously feeling the time difference. I must have blocked this from my memory or perhaps being stuck in 100 square feet with an 11and nine year old all night makes jet lag all the more poignant. Okay, vibrant animated public space is something all cities strive for, but basketball at 2 AM is too much. When we arrived at the hotel at 9 pm there were kids playing football on the street. 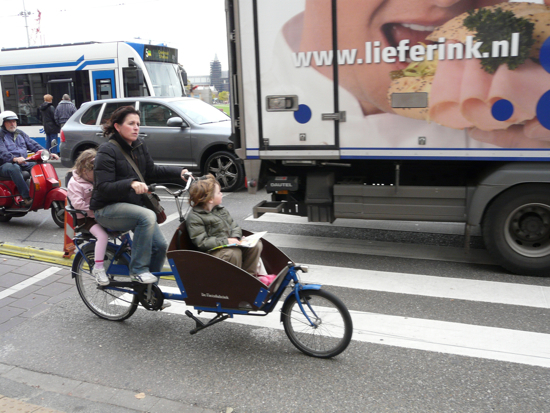 Where were all the fussy bourgeois Dutch when you need them? I have extricated myself from Vancouver. 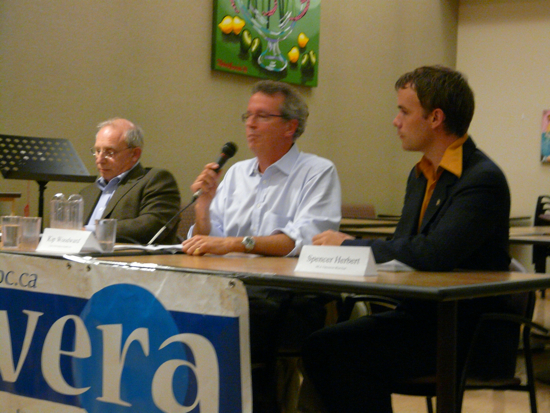 I made few last calls on Friday to ensure the projects that I follow as President of the West End Residents Association (WERA) are not going to Council when I am away. I have handed over the codes for WERA’s secret weapons to Christine Ackermann who is going to take the point for the group. 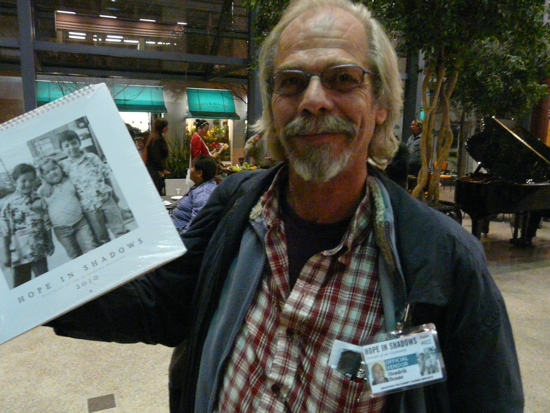 I am on my way to 2009 International Urban Health Conference in Nairobi, Kenya. The conference was in Vancouver last year and my partner Anita was the President of the International Society of Urban Health and responsible for the 2008 conference. The whole family is headed to Nairobi: Anita as well as our daughters Saffrin and Mallika. We are going to stop in Amsterdam enroute to Kenya. Anita and I were in Amsterdam in 2006 for the same conference. We had such a wonderful time and just fell in love with the city. We told the girls that we have to bring them there one day and it is finally coming true. My plan for the blog is to document this trip with photos and post them here, but also to pick up info that could be interesting to Vancouver. First observation: free wifi at YVR rocks. Minister Rich Coleman on his plan to give new powers to police. 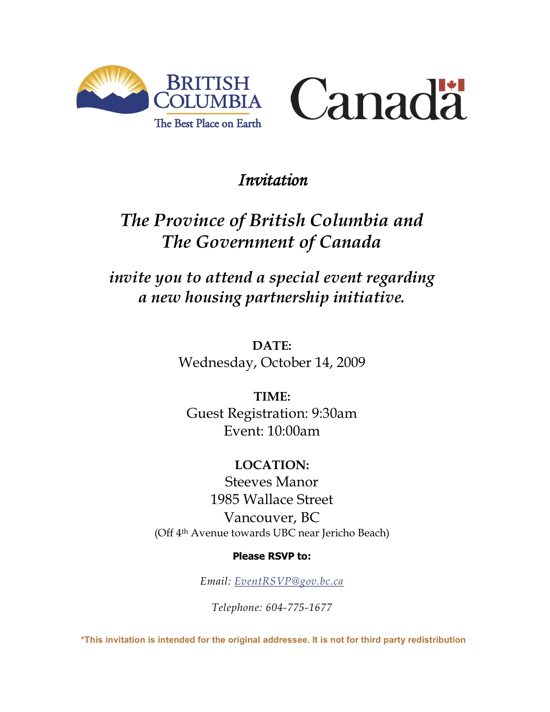 Okay so I got an invite from the Premier’s Office to attend an announcement on new spending on housing by the Province of BC and the Canadian Government. Why I would be invited seems a bit odd. Anyways, here is the invite below. Here is the link to the photos from this morning. I got photos of the Hon. Stockwell Day, the Premier, and the Hon. Rich Coleman. I am going to scan the media release that was handed out with the details of all the spending. I will post this as well. I introduce myself to Minister Coleman and then Mike Howell from the Courier cut in and did an interview with him on his initiative to give powers to police to pick homeless people off the street against their well. I got video of this and will post it to UTUBE and then post it here. This December, world leaders are meeting in Copenhage to agree on a treaty to stop global warming. The Canadian Government must be a strong leader in these talks. 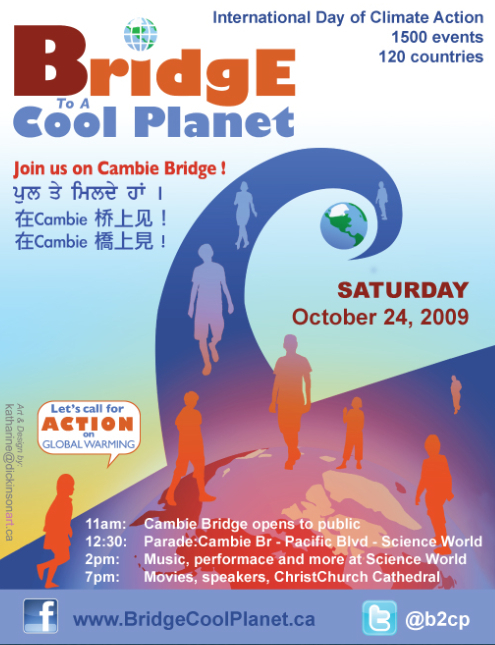 Here’s an easy way to tell them that you want action: Come to the bridge on October 24. Send a powerful message to Ottawa. Talk to each other about world we want.